This evening, all three intrepid editors walked into Robinson Hall wearing a Dartmouth shirt, leggings and running shoes. They then decided to discuss conformity: when, how and why it exists at the College. From the pervasiveness of Canada Goose jackets during winter term to the mob mentality driving corporate recruitment season, Dartmouth appears to take a certain type of individual and thrust them to the forefront of the student body’s collective consciousness, supposedly epitomizing the ideal student. This student is usually tall (but not too tall), athletic (or was in high school and won’t let you forget it), wealthy (usually suburban), ragey (while maintaining perfect grades) and involved in so many activities that their iCal is a rainbow of meetings and commitments, but not too full to “grab a meal” with a peon like you. Does this person actually exist, though? 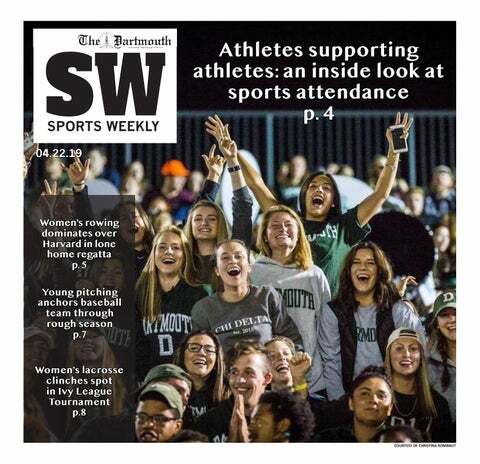 Other than the godly rower Lauren crushed on in her freshman psychology class, the editors firmly believe that everyone at Dartmouth has at least one quirk, flaw or personality trait that keeps them from achieving that impossible ideal. In this issue, we attempted to highlight those who stand out in some way or another: through their art, through their passions or through the paths they choose to follow. We hope you are inspired to keep from fitting into the Dartmouth mold, cultivate your own imperfections and celebrate deviation from the norm. Enjoy the issue!